Ask the dentists at Mayflower Dental in Sydney how to keep your gums healthy with gum disease treatment and prevention options. The term "soft tissue management" refers to an individualized gum health plan to help you maintain healthy gums for a lifetime. It typically includes treatment and preventive elements. Our hygiene team will work with you to develop an effective soft tissue management plan that is tailoured to your individual needs. Some of the effective treatments we recommend include more frequent appointments with our skilled dental hygienists, root planning and scaling, specific home care routines, antibiotics, and, in some cases, surgical procedures. Gum disease can cause tooth loss in adults. Periodontal disease (also known as gum disease) results from a bacterial infection in the gums. When a patient has gum disease, infection and inflammation in the gums destroys the tissue that surrounds and supports the teeth. Gum disease often develops in the early stages with no symptoms. Symptoms of gum disease include bleeding gums, swollen gums, tender gums, mouth sores, gums that appear bright purple or red-purple, and persistent bad breath. Over time gum disease can lead to receding gums, bone loss, and loss of teeth in the affected area. How will I know if I have gum disease? Since gum disease can develop and show no symptoms, it is very important that you have regular oral hygiene check ups. 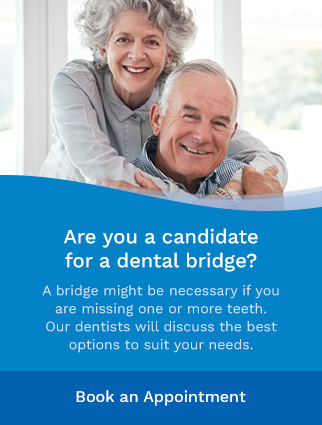 Our warm and caring team will examine your gums and confirm whether you have gum disease and help decide the best treatment for you. If you have receding, bleeding or swollen gums, visit us today. How will my dentist treat my gum disease? Treatment will depend on the severity of your gum disease. We will work with you to develop a treatment plan to address your particular needs. Possible treatments can include more frequent visits with our dental hygienist, changes to your at home dental hygiene routine, or in-office procedures. In severe cases, surgery may be recommended. As always, our friendly office staff will always be pleased to answer any questions you might have about bleeding or receding gums. Gum disease is almost always preventable! The best way to avoid the discomfort and serious risks of gum disease is excellent oral hygiene. Our friendly team will be more than happy to show you the steps you can take at home to prevent gum disease. If you think you may have gum disease, contact Mayflower Dental today. We'll get you on the path to healthier gums!